INCREASING pollution and climate change, partially caused by gradual deforestation across the world, have made survival a greater struggle than ever before. 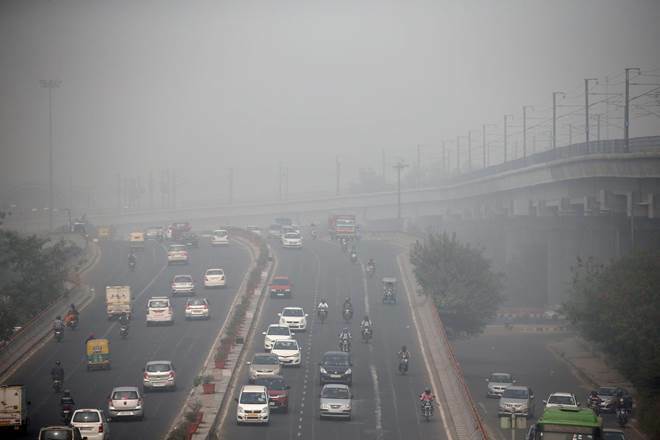 The phenomenon is more pronounced in the subcontinent, particularly Pakistan, where the menace of smog during winter is getting worse each year. The toxic haze blanket has affected climate patterns as farmers witness erratic and extreme weather — triggering heavy rains or long dry spells — to the disadvantage of the agriculture sector. One of the solutions suggested to control and reverse the situation is increasing forest cover as trees absorb the carbon dioxide released into the air by factories, burning of stubble and vehicular traffic. A study by the Punjab Economic Research Institution (PERI) revealed that the province has 17 trees per acre on its farmlands against the ratio of two to three per acre trees at the time of independence. Experts believe that the province holds tremendous potential to increase the number of trees per acre to 30 without adversely interfering with crop yield and with minimum input of the required resources. To help achieve the potential, the provincial forest department has undertaken various initiatives, including Green Pakistan Programme, Social Forestry, and Enhancing Range Lands Production and Planting of Fodder Trees. Punjab Forestry Research Institute, Faisalabad, Director Rai Rafiq says that provincial authorities are coming up with an extension wing to oversee various forestation initiatives, including the 10 billion tree national campaign. The extension services will start in the next financial year. Explaining the Social Forestry Project initiated around a year ago, senior forest official Rana Farooq says woodlots are being raised on farmland on a cost-sharing basis to bring 11,850 acres of land under forest by 2020. The first year was consumed in preparing nurseries of various indigenous and imported varieties of plants to be provided to the farmers who intend to join the project. These nurseries have started supplying plants. Mr Farooq says under the scheme the government is sharing 70 per cent of the cost of the forestation while the the farmer bears the rest. The farmer’s cost includes water charges and labour. Excluding the Rawalpindi division, landholders in all other Punjab regions — with landholding of up to 10 acres in the rain-fed areas of Khushab, Bhakkar and Mianwali districts etc. and up to five acres in the canal-fed area — are eligible to qualify for the scheme. The department sets only one condition: the farmer cannot chop trees for five years, he says. Per acre forestation costs around Rs15,000 and the department pays the grower 70pc of the amount in three instalments at as many stages of plantation. Farmers’ response to the scheme has been encouraging as so far more than 4,000 acres of land have been covered forested. Experts uphold social forestry as a better model than farm forestry and strip forestry due to strong motivation of individuals growing trees on private lands, but emphasise on adopting a participatory approach for the purpose. Dr Mamoona Wali Muhammad, director Forest Education at Peshawar Forest Institute, says as social forestry means planting trees for the well-being of local communities, the community concerned must be involved in the nitty-gritty of the project for it to be successful. She also stresses on planting indigenous trees as these are not only best suitable for the local environment but farmers also know how to take care of them. Mr Farooq says that farmers willing to join the social forestry project are duly consulted and advised on what to grow and are offered follow-up services with a free hand on the selection of the tree species. The provincial government has also stepped up its effort for conserving forests in the province by promoting commercial forestry on over 90,000 acres of land in southern districts, including Muzaffargarh, Bahawalpur, Rahim Yar Khan, Dera Ghazi Khan and Rajanpur. A senior conservative officer for the southern zone says land has been distributed among investors for afforestation under a public-private partnership model to provide sustainable farm wood to the wood-based industry, reducing logging pressure on natural forests.